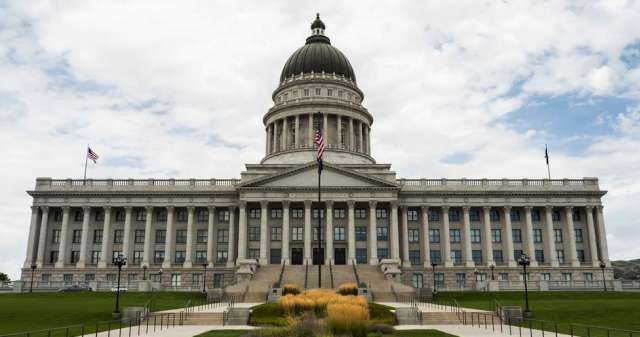 The Utah State Capitol visitors center unveiled a new exhibit celebrating the 100 year anniversary of its construction. 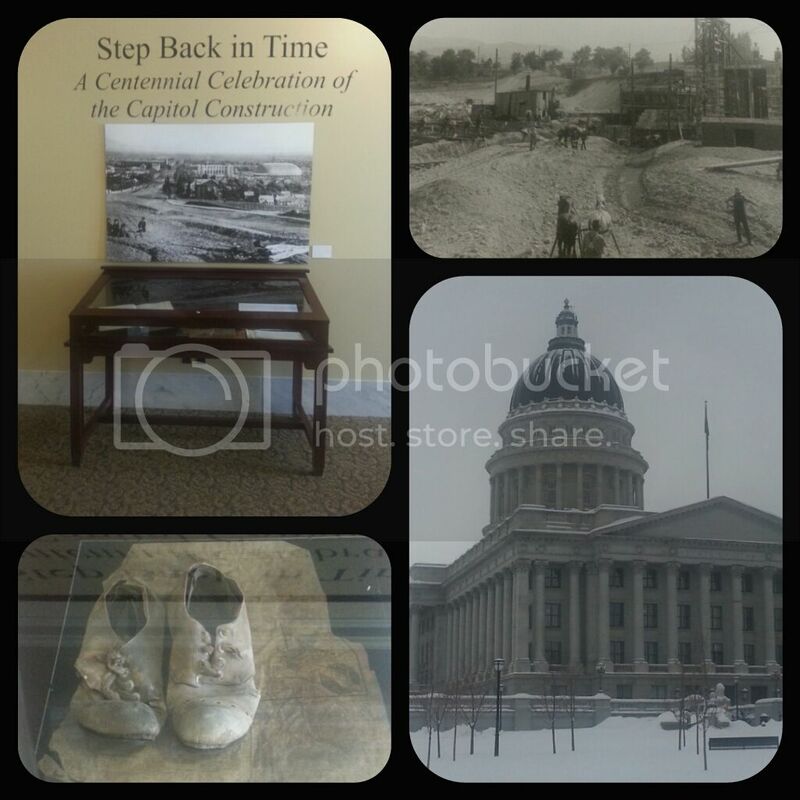 Step Back In Time: A Centennial Celebration of the Capitol Construction, can be seen inside the Utah State Capitol building weekdays from 9am to 8pm, and is free of charge. The exhibit will take us through the 100th anniversary of the Capitol dedication in 2016, and the photos will be updated every six months or so to reflect the progress of the Capitol&apos;s construction. I love Utah history, and learning about the people and events that shaped the great state we live in and enjoy today. This new exhibit celebrates all of that with pictures and displays of the people and events that built the Capitol building. Enter on the East side of the Capitol building. The Step Back In Time exhibit is located directly to your right once you enter the main doors. Take some time looking at all of the pictures and reading the information provided about the Capitol building and what it took to build it 100 years ago. One of my favorite stories is that of a pair of shoes on display. Between 2004 and 2008, the capitol was renovated to make it more durable should an earthquake occur. These pair of shoes were found inside one of the terracotta railings on the outside of the Capitol dome. 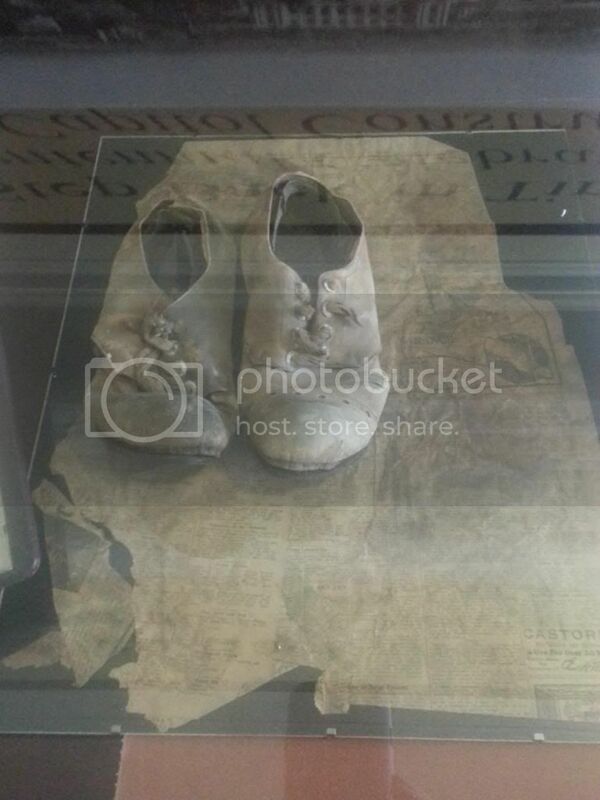 Before being placed in the railing during construction, the shoes were wrapped in a sheet of newspaper dated July 3, 1914. In that newspaper, an advertisement is found for that same pair of shoes, costing $1.95. If those shoes could talk, what story would they tell?! An old European tradition of placing a worn shoe in the wall or foundation of a new house wards off evil and brings good luck. Another story tells of the design of the Capitol. A design contest was held, and on March 13, 1912, Utah architect Richard K.A. Kletting&apos;s design was chosen. His design was described as the "simplest and most dramatic" with "little incidental decoration" (Temples of the Democracy, 1976). Kletting was also the designer of the original Saltair building along the Southern shores of the Great Salt Lake. 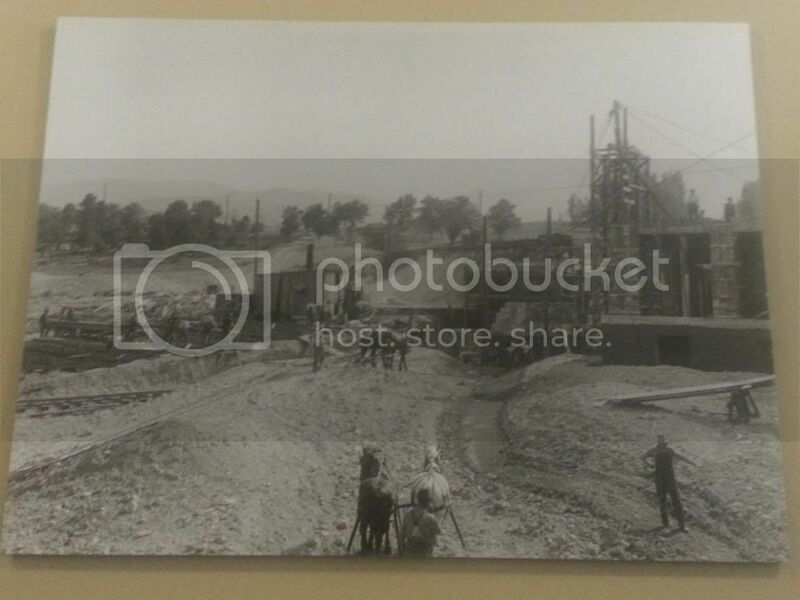 The workers also documented their time while building the Utah State Capitol building. Lawrence Henson Heiselt, the man who rented his horses to the construction company for the project, wrote about it in his journal. Read an excerpt from his journal at one of the displays. While there, I visited the gift shop of the Capitol. I purchased a CD of stories from people around Utah, and enjoyed listening in to hear what growing up in early Utah was like. Make sure you take a minute to see what the gift shop has to offer; I found many fun treasures and books! The exhibit is now on view in the Capitol Visitors Center, open weekdays from 9 a.m. to 8 p.m. Admission to Step Back in Time is free. Digital images used in the reproduction of the exhibit&apos;s historical photographs were provided courtesy of the University of Utah J. Willard Marriott Library, the Utah State Archives and Records Service, the Utah State Historical Society, and the Territorial Statehouse State Park Museum.